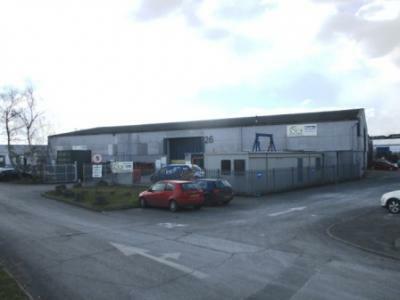 The premises are located in Mayfield Avenue Industrial Estate, off Fyfield Road, in the village of Weyhill about 4 miles west of Andover Town Centre and 2¼ miles west of the A303 dual-carriageway. Factory/warehouse complex with single-storey offices, 5 loading doors, heating, lighting, kitchenettes, WCs, parking and secure yard. Unit 23 Rating - D84. UNITS 24-27 Rating - D85. To let on a new FRI lease for a period to be agreed at a commencing rent of £111,500 pax + VAT.